Did you know that 95% of police departments worldwide use social media in some capacity? Criminal investigations are the number one use of social media by police departments, in part because of such high success rates. Nearly 80% report that social media has helped solve crimes in their jurisdiction. England’s second largest police force, West Midlands Police, uses social media to solve crimes, run more efficiently on less resources, and improve relationships with community members. Serving a population of nearly 2.8 million, West Midlands Police handle over 2,000 emergency calls a day, and patrol the streets and respond to incidents 24/7. After launching a Twitter campaign that highlighted the non-emergency phone number, calls to the emergency line has significantly decreased, allowing the department to provide faster service. Today, the West Midlands Police force uses social media to foster trust within the community, reach and engage their audience, and resolve cases more quickly. Appeals for missing people and wanted suspects have been a particular success for West Midlands Police on social media. The ability to instantly share pictures, video clips, and information has vastly reduce time and cost, while increasing success rate. Find missing persons within hours. Social media is helping the force run more efficiently in more ways than one. For example, whenever there is a missing persons appeal, the West Midlands Police department share a photo on social. A recent success story included a missing man who, within 12 minutes of sharing an appeal on Facebook, was seen by a local community member, picked up, and taken to the police station. Anonymous community members solve crimes on social. Following a serious assault on the back of a bus, the graphic footage from the CCTV camera was shared on social media to appeal for the assailant to be identified. Within 24 hours he had been named by 13 people privately on Facebook and by a further 12 via Twitter direct messages. The criminal was arrested and sentenced to 18 months in prison. Social media not only helps solve crimes, but it spreads awareness quickly among a community, which helps build trust. The force released a video on Facebook of two thieves stealing money from an elderly couple in broad daylight. Within hours, the video had reached over 4.8 million people, generating thousands of shares, comments, and likes. The West Midlands Police knew that social media could help them solve time-sensitive crimes. But establishing the processes wasn’t easy at first. To start, they needed to ensure that they shared the right content with the right audience at exactly the right moment. Once shared, they must filter through conversations to find clues and useful tips right away. Listening. Being able to quickly source local and global news, stories, and conversations, social media saves the force time and allows them to share relevant content with their community. They can also quickly identify and respond to rumours to prevent escalation and tips to help solve cases. Collaboration. With 260 Twitter and Facebook accounts among main profiles and individual officer’s accounts, staying organized and on top of conversations with team collaboration is essential. While officers are actively encouraged to engage online, for major issues, incidents, or media enquiries, they must follow specific protocol. Having permissions and team collaboration in place helps secure the force’s social presence during these times. Engagement. Keeping local communities and journalists informed on all breaking news is a key activity for the force. The force can control the dissemination of news through tailored and scheduled content, helping build trust by reducing rumours and ambiguity. Scheduling social media updates also frees up time to proactively launch appeal campaigns for missing people or wanted criminals and suspects, as well as close the loop on appeals with timely updates on progress. Social media, with its ability to reach a targeted, yet vast amount of people in an instant, is a major asset for police forces. They’re able to use crowdsourcing tactics to gather information and solve crimes faster and more efficiently than ever before. 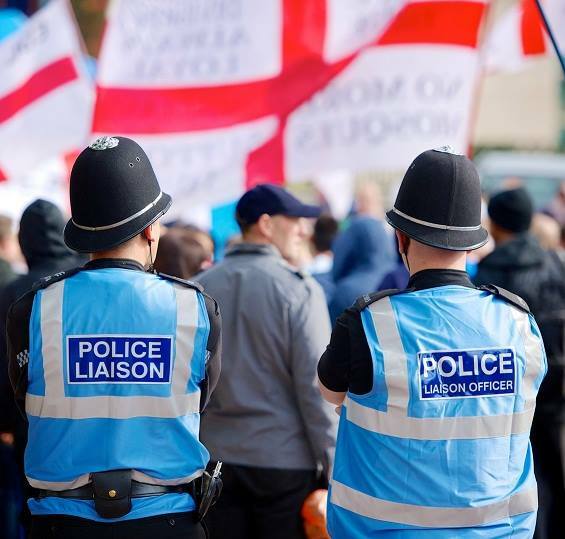 And because of this renewed sense of transparency, many communities are more trusting of their local police departments—as is the case in the West Midlands, England.